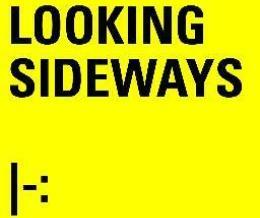 Featured on Looking Sideways Podcast, created by Andrew Sleigh. It was a lot of fun and the interview covers a whole range of topics about stuff you may have seen on my website and workshops – but also goes into a bit more detail on some of my motivation behind it all and some of my current influences (Thomas Heatherwick, Scott Wilson, Spencer Nugent and more). I also discuss how design modelling can be used for aspiring professionals and also anyone who would not usually think of themselves as a prototypes/maker/designer. Listen here or on iTunes. Andrew is a design consultant, maker and prolific blogger – with his work regularly featured on Makezine. He writes about makers, entrepreneurs and people who are passionate about what they do. As with Design Modelling, he is keen to inspire other – from how to make a cheap light-box for better photography, to the really unusual ‘Pinhole Solography’…. so check it out. He also helps fun Brighton Mini Maker Faire.